IRELAND SEVENS RUGBY director Anthony Eddy has included former Munster wing Luke O’Dea in a squad for the second leg of the European Rugby Sevens Trophy. Ireland won the first leg of the tournament in Malmo earlier this month and they can take another big step towards an overall win – and a place in the Rugby Europe Grand Prix next season – in Prague. Also drafted in for the Czech trip is rugby league convert John O’Donnell, once of Sale Sharks. Ireland take on Monaco, Cyprus and Israel in Pool A of the tournament from 10am on Saturday morning. “We were very pleased with how the first leg of the Rugby Europe Trophy went in Malmo and it is important that we back up that performance this weekend,” says Eddy. Email “Ex-Munster wing Luke O'Dea named in Ireland 7s squad for Prague trip”. 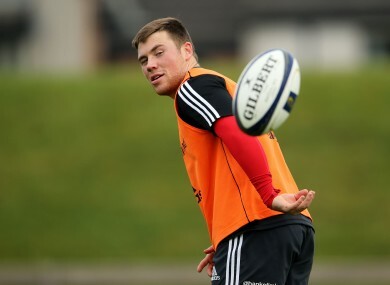 Feedback on “Ex-Munster wing Luke O'Dea named in Ireland 7s squad for Prague trip”.